Cloud computing has rendered the traditional security stack irrelevant, as traffic partners change, new devices are added, and cloud applications pop up virtually overnight. It’s time for the Cloud Generation to rethink requirements for enterprise security. Darren Thompson, Vice President and CTO, EMEA, walks customers through how changing usage models mandates a cloud generation architecture in enterprise security. 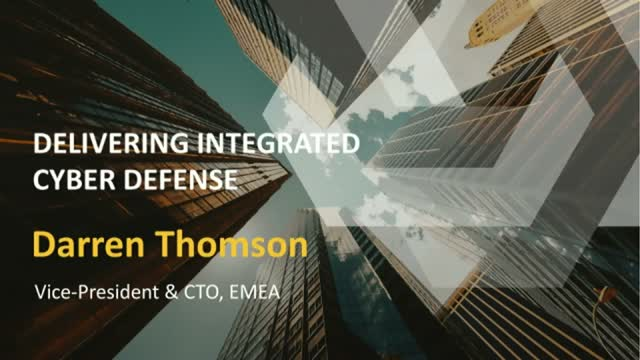 He’ll walk you through the power of Symantec’s Integrated Cyber Defense platform—unifying cloud and on-premises security to provide advanced threat protection and information protection across all endpoints, networks, email, and cloud applications.